Porto Central is a multi-purpose private industrial port complex developed according to the condominium port management model, in which Porto Central is responsible for the construction, maintenance and management of the land, port and utilities infrastructure and the clients of Porto Central lease areas for their own terminals and industries. 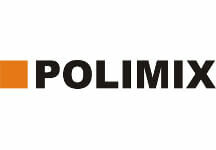 This model reduces the overall investment and operational costs to our clients. Offshore industries (such as supply base, spoolbase, and shipyards). 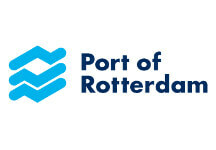 The port will be constructed in phases, in line with market demand and needs of our clients. The construction in phases allows for an economically feasible project and as short as possible construction times leading to faster availability of the port infrastructure. Porto Central consists of an area of approximately 2.000 hectares, which is equivalent to 3.000 football fields. The port will be able to accommodate various large-scale terminals along its 10 Km of berths and piers. With up to 25 meters draft, Porto Central will be able to receive the largest ships in the world, such as VLCCs and Valemax, with up to 400.000 tons capacity of cargo. The sea access to the terminals will be through an access channel of 300 meter wide allowing for 2-way simultaneous traffic for middle-sized vessels and one-way traffic for the largest vessels. Porto Central is located in the Municipality of Presidente Kennedy, in the south of Espírito Santo State, near the state border with Rio de Janeiro, around 150 km from Vitória. The area was identified by the National Agency of Waterway Transportation – ANTAQ as priority and ideal for the installation of a port. 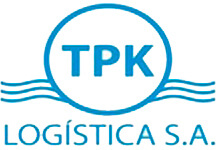 The Municipality of Presidente Kennedy designated an area of 6.815 hectares around the port to be developed as an industrial district, contributing to an integrated a well-planned growth of the region. Porto Central will serve the hinterland that consists of the States of Espírito Santo, Minas Gerais, Góias, Mato Grosso, São Paulo and Rio de Janeiro, which together, represent 64% of Brazil’s GDP and have great importance in agricultural production and iron ore. In addition, the port is close to the main oil & gas fields of the country, standing out as an efficient port for handling and storage of oil and offshore supply. The geographical location of Porto Central is unique at the center of the Brazilian coast near to the strongest production center of the country and a market with over 100 million consumers. Porto Central, as a multipurpose port, will enable access to a wide range of vessels, from Panamax to Valemax, through a main access channel and a set of internal channels, structured with the highest standards of safety and efficiency. Therefore, Porto Central in partnership with the University of São Paulo (TPN-USP), renowned polytechnic school, under the supervision of the pilots from Espírito Santo and the Brazilian Navy, executed several real time nautical simulations considering different environmental conditions with regard to wind, swell and currents. The video aside shows (at accelerated speed) one of the real time simulations. The success of a port also depends on access over land. 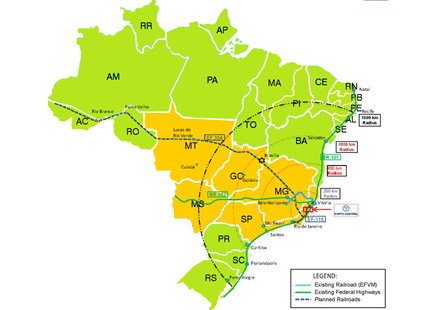 Porto Central has access to the major highways of the country, including the federal roads BR-101, which provides access to north and south of the country, and BR-262, which provides access to the east and west of the country. 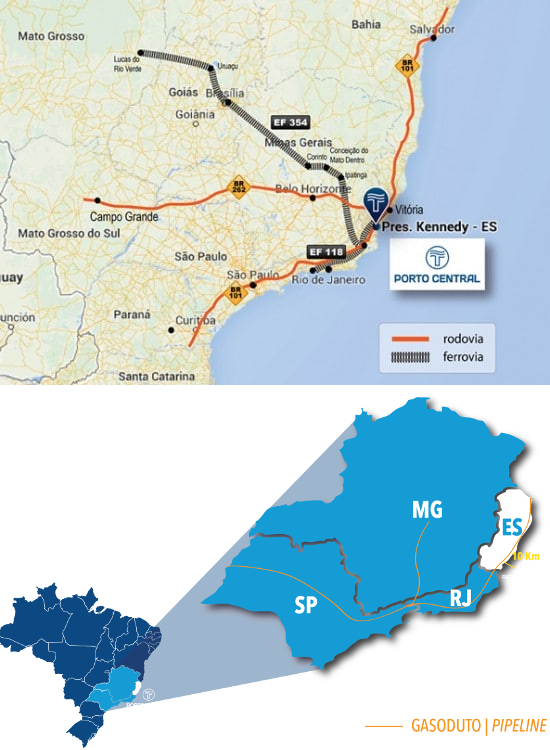 Porto Central will have direct access to state roads ES-060 ES-162 and, in the future, through the extension of ES-297, connecting Porto Central to federal roads BR-101 (located only 30 Km from Porto Central) and BR-262. The port will in the future be integrated with the planned railways EF-118 and EF-354. The new railway EF-118 is part of the Program for Infrastructure and Logistic of the Federal Government. The railway will connect the cities of Vitória and Rio de Janeiro, linking the rail with the existent railways system of VLI-EFVM/FCA north and MRS Logística south. With the conclusion of the public hearings and engineering basic design, currently, the railway EF-118 is under analysis by the National Agency of Land Transportation – ANTT. The new railway EF-354, known as Transcontinental Railway, will provide a direct connection of the port to the Midwest, crossing important mining and agricultural regions of the country, and also it will be connected to the railway EF-118. These railways will offer a new logistic alternative economic and competitive for the export and import of cargoes, even for long distances, such as iron ore, soybeans and corn, fertilizers, coal, vehicles and containers. Additional to the development of the maritime, rail and road access, Porto Central is also coordinating a pipeline network to offer another safe, efficient and sustainable transport solution. Through its liquid bulk terminals, Porto Central will serve as an important gas hub distribution for the region and its hinterland. The gas import terminal will be connected to the national gas pipeline network, which is located 10 km from the port.